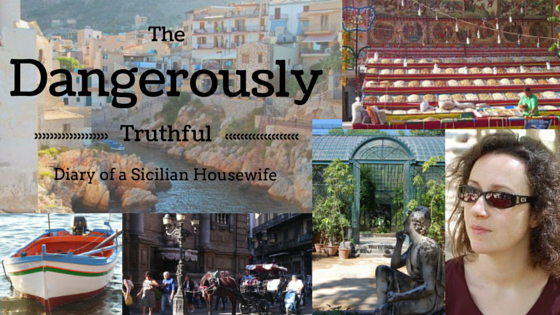 Did you know the world’s oldest university was founded by a Sicilian? It’s in Cairo, and he actually founded the whole city, too. Cairo: I was here on my honeymoon. Poor Hubby was profoundly shocked to consider how shabby Palermo looks in comparison. This shows the terrible problem of Brain Drain has existed in Sicily far longer than most people realise. To get a concept of how big an issue this is, consider that there are 5 million Sicilians living in Sicily, and 17 million Sicilians living in the United States. I could give you a big list of statistics that you would skim over but, just trust me, there are lots of Sicilians all over Europe too, and they are still leaving this island in their droves. There are no opportunities for talented people here…. only for well connected ones who can get jobs by pulling strings. The Sicilian who founded Cairo was called Jawhar al-Siqilli which means “Jawhar the Sicilian”. We do not know exactly when he was born, for at the time of his birth he was a slave of no importance, so we only know it was some time in the early 10th century. We know exactly when he died – February 1st 992 AD – for by that time he was the most important military leader in Fatimid history, founder of the largest city in the Arab World, and founder of the world’s oldest university. Jawhar was born in a Sicily just conquered by the Arabs of North Africa. The island had been invaded and plundered for several centuries by a motley succession of Germanic tribes, and ruled in chaotic fashion by a series of Byzantine emperors while the Arabs spent 100 years fighting to gain control of Sicily. On this island of many cultures and races, Jawhar was born to a Greek-speaking Byzantine woman reduced to slavery just when these turbulent times were starting to settle. At a young age, the slave boy Jawhar was shipped from Sicily to the city of Qayrawan in North Africa. This was when his original Greek name – like his birth date, considered too unimportant to record for posterity – was replaced by the Arabic name Jawhar. He was given to the Caliph Ismail al-Mansur on account of his obvious intelligence and cunning. Had he been less intelligent, he would no doubt have been left behind: brain drain, as I said earlier. When this Caliph’s son Al-Muizz (953-975) took the reins, Jawhar gained his freedom and became his personal secretary. Before long he became Vizir and the highest-ranking military commander of the Fatimids. As commander of the Fatimid Arabs, Jawhar resumed the military expansion of the Fatimids, taking various parts of North Africa from other Arab rulers. He conquered Fez in Northern Morocco, and pushed towards the Atlantic. After the Western borders had been secured, Jawhar as-Siqilli pushed towards Egypt and occupied the land around the Nile in 969 AD. Before this conquest, a treaty was made with the Vizir of the Ikhshidids granting Sunnis freedom of religion. For this reason the Fatimids under Jawhar encountered little resistance. Afterwards Jawhar ruled Egypt until 972 AD as viceroy. He founded the city of Cairo in 969 AD to serve as the new residence of the Fatimid Caliphs. Jawhar named the city Manriyyah, but the Caliph Al Muizz renamed it al-Qahira – Cairo – which means “The Victorious”. 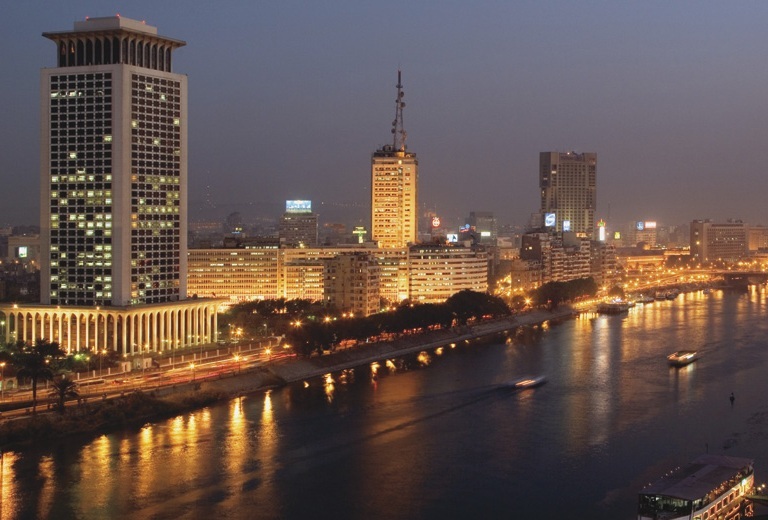 Cairo is not only the capital of Egypt, but now the 16th largest city in the world. It is by far the the largest city in the Arab world (North Africa and the Middle East). In 970 AD Jawhar also commissioned the construction of al-Azhar Mosque, a beautiful building still standing over a thousand years later. Additions and embellishments have been added through the centuries. 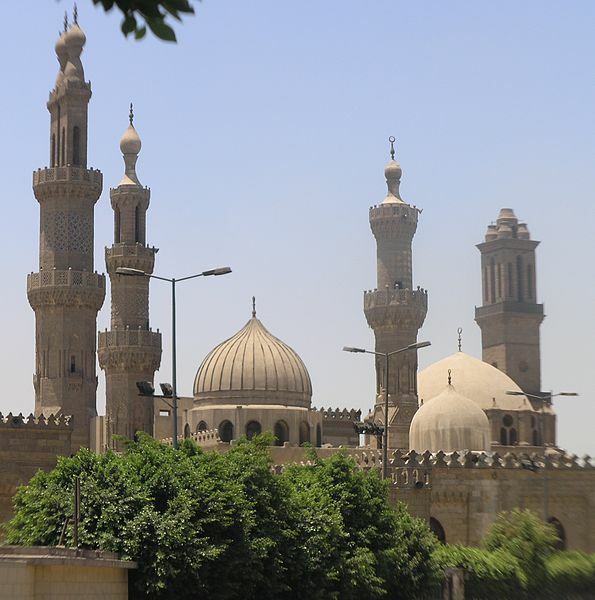 Alongside the mosque, Jawhar founded Al-Azhar University, the oldest university in the world. Its students studied the Koran and Islamic law, logic, grammar, rhetoric, and how to calculate the phases of the moon. Cairo would eventually become one of the world’s centres of learning at that time, with the university library of Cairo containing hundreds of thousands of books. By bringing together the study of a number of subjects in the same place it was the first university in the world to survive as a modern university including secular subjects in the curriculum. The university of Bologna, often cited as the world’s oldest university, was founded over a hundred years later in 1088. Perhaps people say Bologna was the first university just because it was the first one without minarets attached. After the establishment of the residence at Cairo, Jawhar fell into disfavour with al-Muizz. Under his successor al-Aziz (975-996) however, in whose accession to the throne Jawhar played an important role, he was restored to favour and to power. He was regent again until 979 AD, but was finally stripped of power after being defeated in a campaign against Syria. 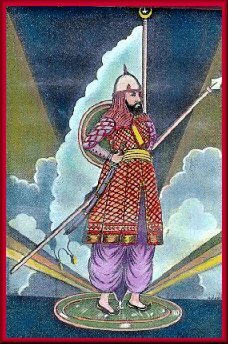 Starting as a slave boy in Sicily, Jawhar was taken to a foreign land, learned a foreign language, gained his freedom and the greatest power in the land besides the caliph, conquered vast areas and many people, and lived to be more than 80 years old. Yet the greatest legacy of this little-known Sicilian remains the magnificent city of Cairo and its thousand-year-old university. Having left his homeland, Jawhar, like so many Sicilians who leave this island, never lived here again. I wonder if he missed it. I would like to thank a reader of my blog named Alessandro Riolo for bringing the existence of Jawhar al-Siqilli to my attention. I remember visiting this university around 12 years ago. Supposedly the oldest in the world, at least in the modern sense of a university and I didn’t know that it was founded by a Sicilian. It;s interesting how you mention Palermo being in some ways looking more shabby than Cairo. I use Cairo as my benchmark and am frequently amazed at how many places look worse than Cairo despite the obvious poverty, climate and overpopulation problems of Cairo. There really shouldn’t be any excuse for any major European city and I don’t mean that disrespectfully to Cairo. It is so sad that the historic centre of Palermo looks like Aleppo, yet more dirty. As you say, there’s no excuse. The Mafia makes planty of money building more and more homes around the outskirts of the city, and it seems nobody makes much from restoring or maintaining the beautiful old buildings at the centre. The government does nothing, and the people moan and complain about the Bangladeshis and Chinese who are buying these semi-derelict buildings for nearly nothing, making them inhabitable and re-populating the empty heart of Palermo. The areas without immigrants look so awful I am almost scared to go there! We are New York Sicilians. You have to stir the gravy every 15 minutes and be planning how to get even with your relatives over in Brooklyn. Then you have to beat your kids with the big wood salad spoon. I never saw the old women ever use it for salad though. You get beat because you did something wrong, were possibly thinking about something wrong or did not even know it is wrong. You also get beat when you are sick because “How do you expect to get rid of that cold if you are sneezing all the time?” Then they beat you some more because “you won’t stop that crying”. Or should we start wacking our own kids over the head with wooden spoons to knock some sense into them? We did get banged up a bit but it was worth it. The old women gave us the best birthdays and Christmas anyone could imagine. Some day I will visit Sicily. Someday. As always, a fascinating post. Thanks so much, Veronica! Concerning the Arabic period of Sicily I always wondered why there are no buildings left of this period. We only have the Normannic buildings which make use of Arabic style but is there any Arabic building left? Like the Alhambra in Spain? Not one single mosque transformed into a church? I find this very strange …! Very very strange. As if the Arabic Sicilians lived all in tents and the Normans were the first to build in stone. Ha ha! Maybe they really did live in tents! Actually there are quite a lot of buildings left which were originally built by the Arabs, but many were so much enlarged or changed that people forget they started it. For example, the Palazzo Dei Normanni should really be called Palazzo degli Arabi because they first built it (they called it the Qasr). The ceiling of the Capella Palatina is pure Arabic… painted over later by Normans. The Zisa is a wonderful Arab building still standing. There are Arab castles and fortresses – or more often the ruins of them – all over SIcily, but whenever Sicilians see a stone tower they call its Norman fortress. They associate Arabs with culture, enlightenment and crafts, and the Normans with warfare…. so this is their prejudice. There are also lots of Arab buildings buried, like the ancient Greek ones, which are only just being dug up. For example, under Palazzo Steri (seat of the Spanish Inquisition in palermo) they have excavated an Arab pottery. The Arabs built such a useful range of factories that they were rebuilt adn rebuilt, in constant use, till there was actually nothing strictly speaking “Arab” left in the physical structure… yet they did first build it. And finally, more of the Norman things were preserved because they were really only interested in building churches, adn these were of course preserved by the other Christians who came after them, most notably the Spanish, who did lots of restoration and embellishment. 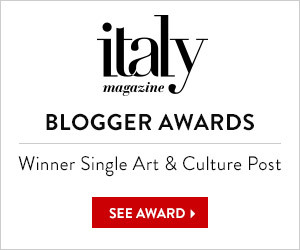 Yes, sadly there is nothing like that in Sicily! But the Arabs ruled Andalusia for about 800 years and ruled Sicily for only 200. Maybe that’s part of the reason?